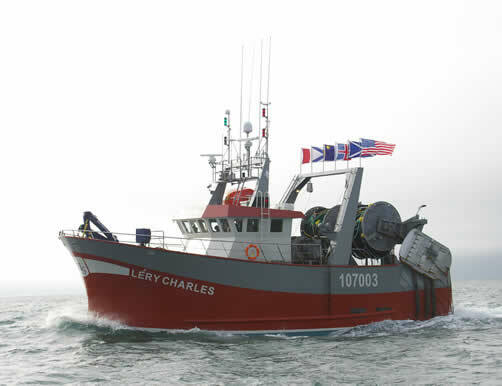 Scotia Harvest Seafoods and the D'Entremont family have taken a quantum leap forward in Canadian Fisheries by the decision to construct a new vessel and start Twin Trawling. First indications prove the wisdom of this move and the Captain and crew have adjusted well to the new fishing technique. The D'Entremont family have put a lot of emphasis on fish quality, from catching, to processing, and finally to marketing. Alain d'Entremont, Jean Guy d'Entremont's son, is assisting in managing the harvesting business, with expertise in computer programming and business. We at Crimond Enterprises believe as they do, that this is the way forward in the new fisheries regime.